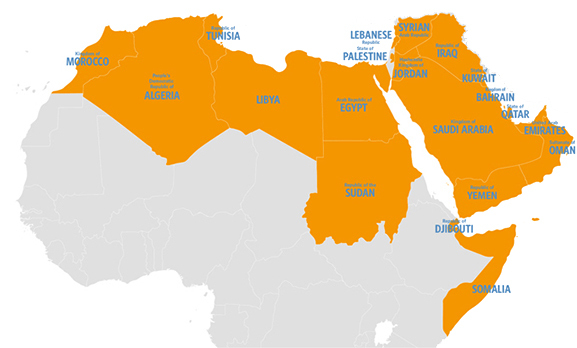 UNFPA’s Arab States Regional Office, based in Cairo, supports the work of 15 UNFPA country offices, covering a total of 20 countries and territories in the Arab region. UNFPA’s regional office ensures that the objectives, programs and messages of the organization across the region are coherent and in line with UNFPA’s global priorities of ensuring that every pregnancy is wanted, every childbirth is safe and every young person’s potential is fulfilled. Advisors and specialists at the regional office closely support country offices by providing advice and technical expertise, as well as helping draft policies in the fields of family planning, maternal health, child marriage, female genital mutilation, gender-based violence, human rights & gender equality, census, and demographic dividend. The regional team keeps track of the progress and challenges that the organization encounters in the Arab region, and advises on how to adjust UNFPA’s approach to respond to the challenges. For more information on UNFPA’s work in specific countries, please click on the left hand menu.